The Friends of the Library are sponsoring a Coffee Cake Social at the Logan County Public Library on Monday, Nov. 10 from 10 a.m. – noon. The featured speaker will be local author and folklorist Dr. William Lynwood Montell. Dr. Montell is a native of Monroe County. He grew up in a rural setting prior to the time radio and television were part of everyday life, a time when family and community members regularly shared stories and music. 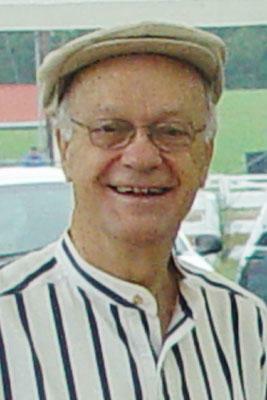 Dr. Montell taught folklore at Western Kentucky University for 30 years and has authored 22 books. Five of those are ghost stories of our state. His books rely heavily upon oral history interviews and folklore methodology. In the summer of 2001, Dr. Montell was inducted into the Kentucky Music Hall of Fame in Renfro Valley, Kentucky. In 2003, he received the Governor’s Arts Award in the Folk Heritage category. The event is free and open to the public; reservations are not required.